The Foundation is the vehicle through which the community can continue and ensure unique experiences are preserved and enhanced for generations to come. Students have already been impacted by Foundation donors’ generous gifts of support. The production of The Wizard of Oz reached new heights thanks to the financial support of The Eleanor Seifried Fund. The fourth through eighth grade musical was a truly magical experience for the audience, cast, and crew with flying effects funded by the Foundation. 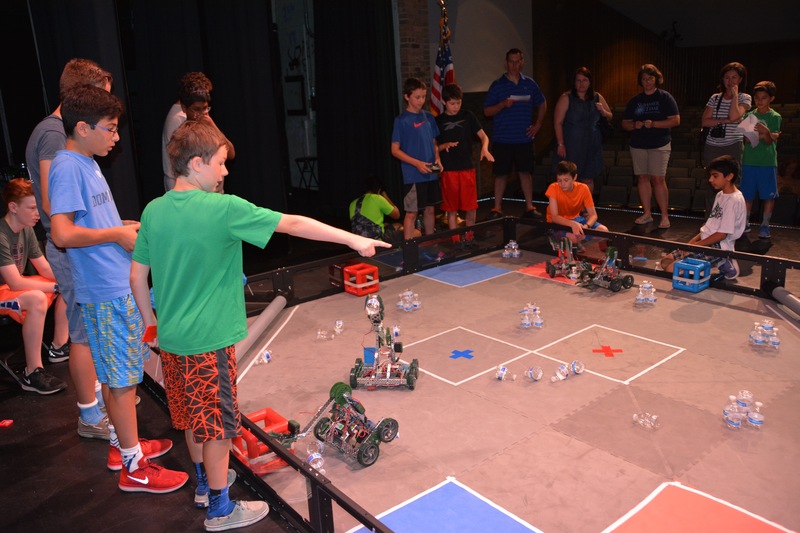 The STEM Fund allowed incoming seventh grade students to enjoy an introduction to robotics at a summer camp sponsored by the Foundation. Students constructed a Clawbot using the VEX EDR Robotics platform. They programmed the robot to drive autonomously and with a remote control, putting their skills to work competing against one another. 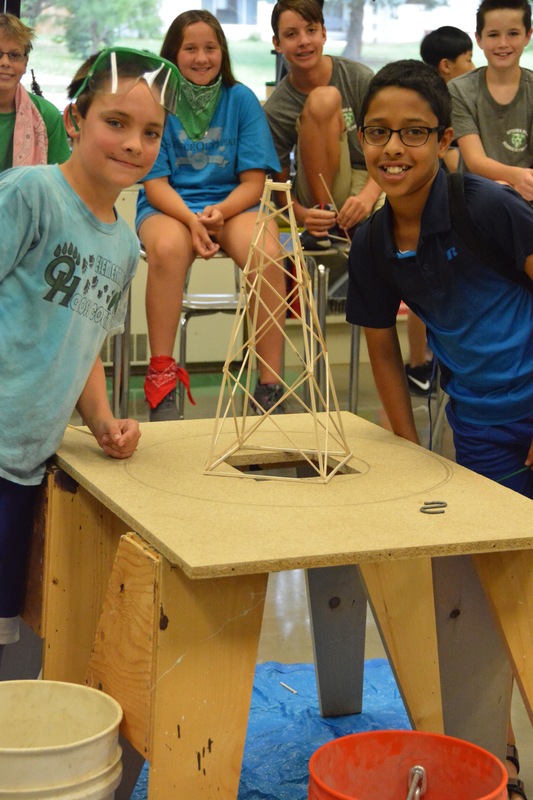 The Science Olympiad competition camp for rising sixth through eighth graders was sponsored by The STEM Fund. Students worked collaboratively on projects such as Robot Arm, Rocks and Minerals, Ecology, Disease Detectives, Helicopters, Forensics Lab, Chemistry Lab, Mouse Trap Vehicle, and Electrical Vehicle. Members of the state-qualifying Ottawa Hills High School Science Olympiad team served as coaches and mentors, building great partnerships between the elementary, junior high, and senior high students. The Ottawa Hills dance team participated in a national dance camp thanks to a grant from The Mindel Family Athletic Fund. The dance team received training by national collegiate dancers from the Universal Dance Association. A gift from The Talmage Family Fund purchased 30 ukuleles with bags, strings, tuners, and books to augment the current general music offerings at the elementary school. The ukuleles will provide an introduction to string instruments of the world, while teaching students an instrument used primarily for chording and accompanying a melodic instrument or voice. 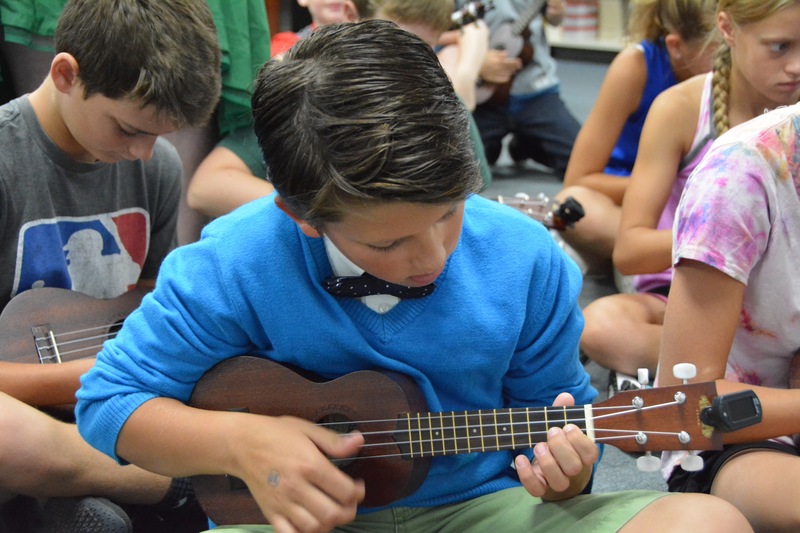 Playing the ukulele provides students with an understanding of string instruments and builds their knowledge of note reading.